This velour paper has taken its place at the border between paper and cloth. The pulp carrier with its smooth coat of viscose flock can be worked with just like paper and, especially on larger areas, gives the impression of being either velvet or suede because it produces a play of changing colours. The great colours make this paper a very versatile material that can be used, for instance, as a cover for books, boxes or the like as well as to make invitations. 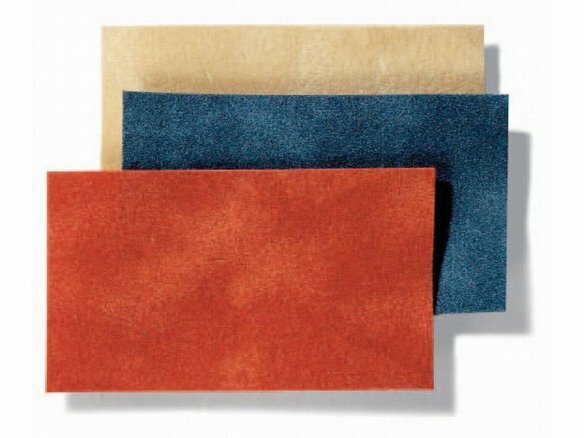 This velour paper can also be used to make copies (if the owner of the copy machine OK´s it!). And last but not least, it is a great material for decorative purposes.